INT-1: Custom kitchen with pass through to living rm and integrated bar counter area. 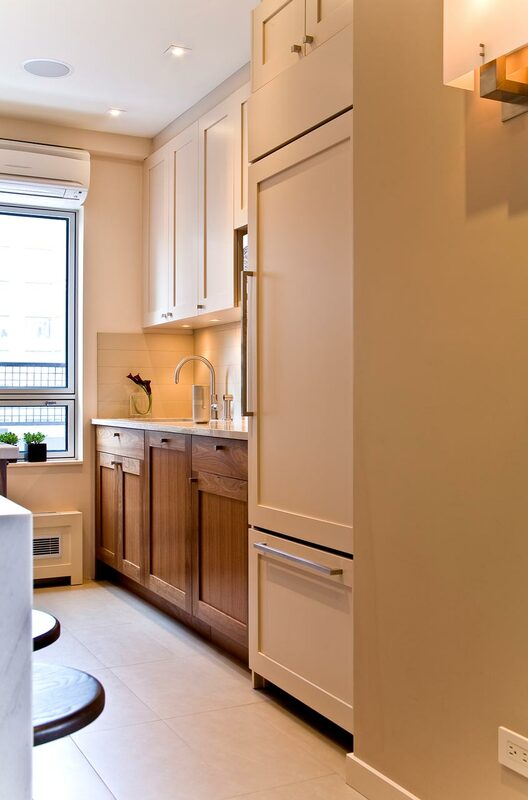 Custom cabinetry in contrasting finishes, base cabinets in natural walnut and wall cabinets in taupe lacquer (satin finish). 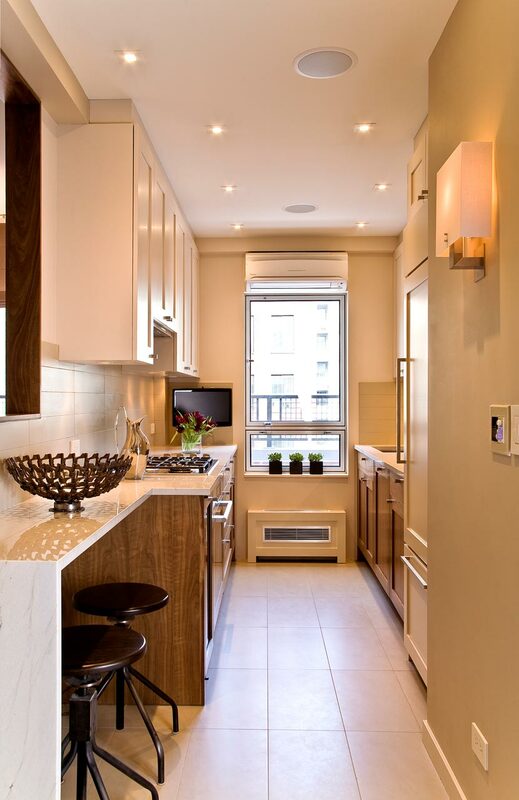 INT-2: Custom kitchen cabinets w/ Quartz marble countertops. Recessed down lights (square trim), task and ambient lights, sconces. Modern, built-in appliances. INT-3: Detail of kitchen cabinets with contrasting finishes and fully integrated (built-in) refrigerator w/ custom lacquer panels. 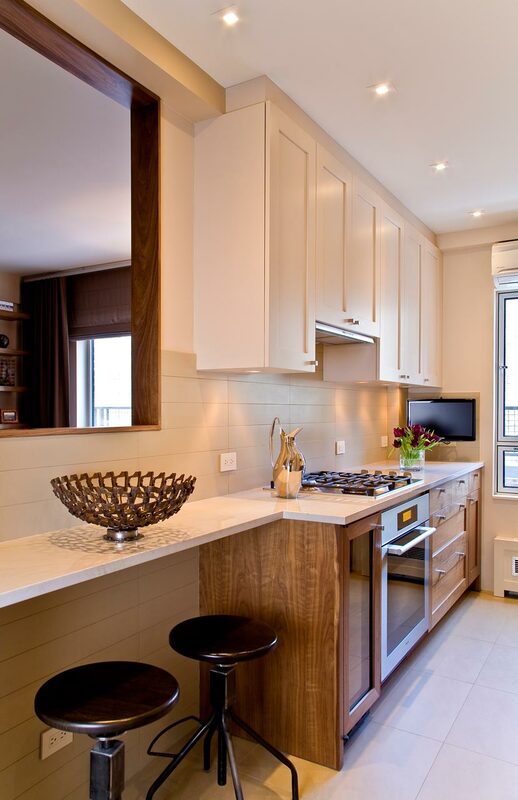 Ductless central air units / system integrated throughout apt. 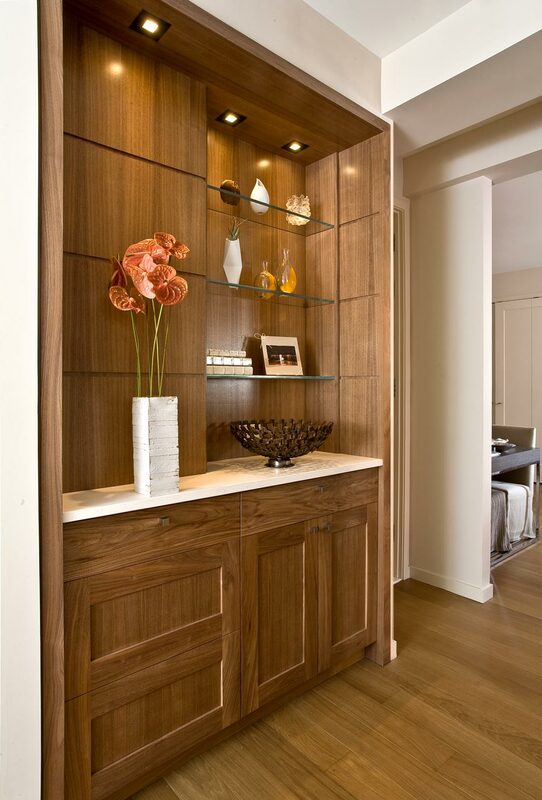 INT-4: Detail of custom millwork display cabinet (built-in) in natural walnut with limestone counter top and floating glass shelves. 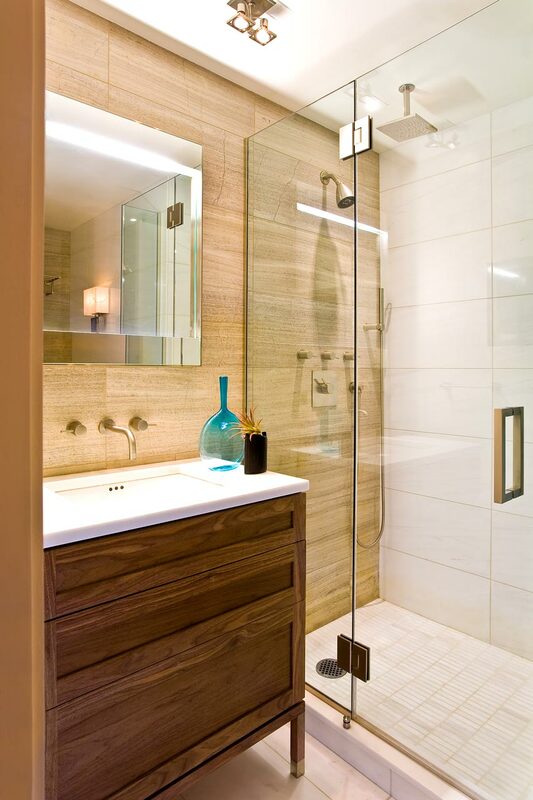 INT-5: Master bath: custom walnut vanity w/ white marble counter top and wall mounted spout & levers. Recessed vanity mirror with integrated lighting. Limestone 12 x24 wall tiles, w / contrasting white marble 12 x 24 wall / flr tiles and modern white mosaics in shower area. Rainfall (ceiling) and wall mounted shower heads. 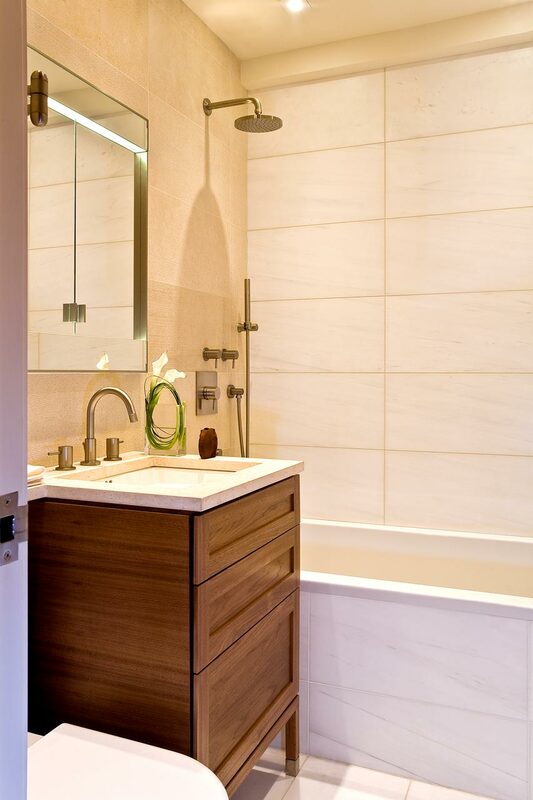 INT-6: Guest bath, custom walnut vanity, limestone top with deck mounted spout & levers. Recessed, mirrored med cabinet with integrated lighting. Limestone 12 x24 wall tiles and contrasting white marble 12 x 24 wall and flr tiles. Bathtub w/ rainfall shower head and adj hand shower.